There is a flat rate of $10 for all orders under $49. PLEASE NOTICE WE ONLY SHIP TO THE USA. WE DO NOT SHIP INTERNATIONALLY. We do this because it is significantly more effort to ship outside the USA (customs, tracking, costs) and because we typically run these auctions at a financial loss, we want to reduce the time we spend on fulfillment to as little as possible. You can use services like shipito.com or myus.com if you really want to bid on something. As long as you put in a USA Shipping address we don’t mind where you actually live. Since we offer free shipping over $49 for USA and our prices are often 25-50% less than retail you can still get a good deal even if you use one of the above services. We expect payment within 48 hours of the auctions finishing. If you cannot comply please don’t bid. 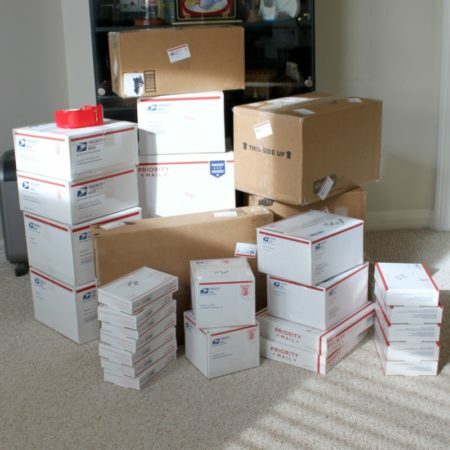 We ship all packages by USPS priority mail. Typically we will ship all orders within 1-3 business days after receiving an order. We stand behind our products fully and will replace faulty merchandise … but once you know the secret in most cases we cannot offer cash or credit refunds. * Free Shipping does not include insurance. If you want to pay for extra insurance that is up to you and you must include a note when you create the order.